Taxi4U is a great way to order a taxi with no hassle - only a smartphone is needed. 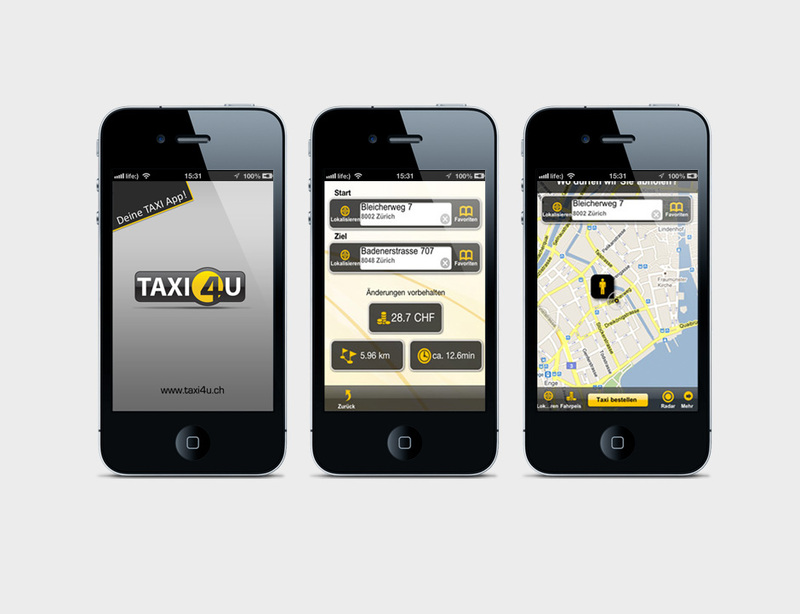 Taxi4u comes in two apps - a driver app and a client app. A taxi driver located closest to you receives a new order notification with a direct location of your place. You can enter additional requirements for the ride. Once the driver accepts the order, you will see the whole way of the ordered taxi to your place and the estimated arrival time. This free iOS app is currently very popular in Zurich and Winterthur, and requires iOS 4.1 or later.